This isn’t the only big reference to Bloodborne. Another clue comes from a book which shares the same font as the Bloodborne logo. The description of the book titled Blood and Bones reads: “Prose of some terrible tale. This fabled land of gold, silver, and sacrifices owed both its rise and fall to its inhuman warriors. They applied face paint brewed from blood, giving them the strength of the gods, and carved up their own bones, crafting the weapons of the gods. 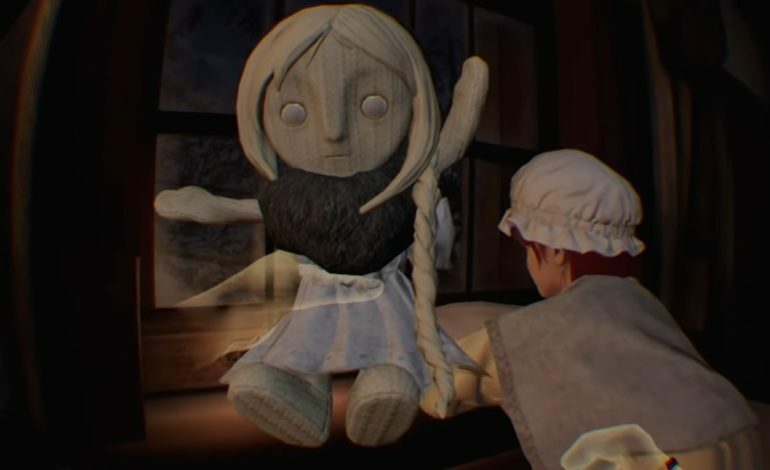 Yet their legacy is neither here nor there.” One more clue comes from another doll who also shares a resemblance to another Bloodborne character. The description of this character named the Seafaring Sage reads: “A statuette of a seafaring sage that appears in an unfinished tale. It is said to appear in bad dreams, to watch over those who attempt to leave.” This is another reference to an “unfinished tale” as well as another reference to a “bad dream”. Many fans have been waiting to see if there will ever be a sequel to Bloodborne, and their hopes were high when a teaser for FromSoftware’s next game was revealed at the Game Awards. However, that game was eventually revealed to be a new game called Sekiro: Shadows Die Twice.